Local and visiting riders alike will be giving it their all at the Eidsvold Golden Bell Campdraft. Forced to be postponed the campdraft will run a full program this weekend, with 730 first-round runs plus finals over maiden, novice, open, restricted open, juvenile and junior levels. There will be bar facilities, live music and entertainment on Saturday night, as well as a multi draw with $3500 worth of donated prizes. There will be something for everyone at Gayndah's 105th annual show. 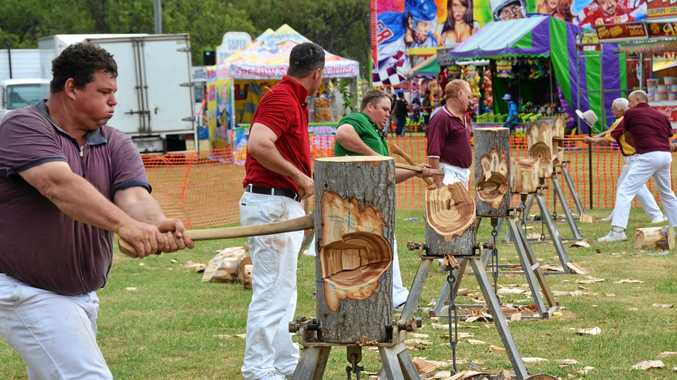 The best riders in the region will be giving it their all in the horse events, farmers will showcase their best cattle to be judged and the strongest axeman will be tested in the wood chop events. The kids will be entertained at the animal nursery or at a circus show with plenty of action happening across the day. The rodeo is back this year and is sure to get the crowd going and a family favourite, the fireworks display, will go off with a bang at 7.30pm. Gates open at 6am and the pavilion opens at 9am. It will be a battle for bragging rights as the best rugby league players in the Burnett go head-to-head in Mundubbera on Saturday. While the Central Burnett Brumbies and South Burnett Eagles will be playing for honour the players will also be looking to impress selectors. From this game players will be selected to play in the Burnett Brahmans side to compete the 47th Battalion on May 5. There will be something for everyone at the new Mt Perry museum markets. From 7.30am-11am there will be a new garden stall, custom leather goods on offer , second hand items. The community will enjoy live music and support the men's shed through their sausage sizzle. If you have something to sell stalls are available for $5. You can sell fruit and vegetables by putting your initials on the plastic bag to be sold by the stall holder for no commission. The Mundubbera Community Development Association Inc. will be running a free suicide intervention training day. The community response to eliminating suicide intervention training will give people the skills to recognise the early warning signs, learn what to say and where to go to help. The free session will run from 8.30am-3.30pm at Blue Care Mundubbera. Bookings are essential, call MCDA on 41654690.